Airconditioners for Sale specialize in residential airconditioners and commercial aircons services which include the supply of air conditioners, air conditioner spares parts and installation and service of all air cons. We have 8 years of experience. We supply and install unit/s throughout Africa. All our products come with a 2 year warranty on the indoor unit and 5 years on the condenser (compressor). We only make use of certified installers. Our air conditioning company has an excellent service, fault finding and repair team. Should you have an emergency such as a faulty air conditioner in a server room then you simply call our emergency number and we will ensure we attend to the problem immediately. 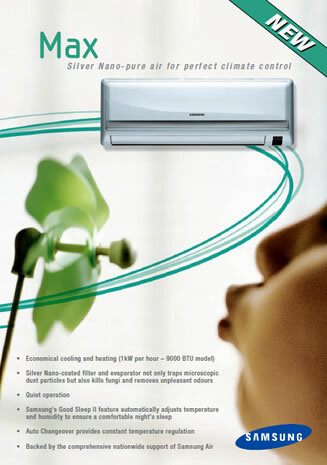 Air Conditioners For Sale is the fastest growing air conditioner company in South Africa. Air Conditioner for Sale and Electrical is an Authorized Samsung Distributor. With so many fly by night air con companies out there why take the risk, rely on the professionals. Air Conditioners for Sale & Electrical. Air Conditioners for Sale was formed by brothers who saw an opportunity in the air conditioning industry, which was that the air conditioner industry had a very poor reputation when it came to service. They set out to improve, to be more service orientated. The air conditioner company had much success since then and has been serving its clients for many years. Starting with only a small van and immense ambition the air conditioner company now possesses a large team and has branches in Johannesburg and Pretoria and are still rapidly growing, setting new standards for all air conditioner companies. Although with such success the air conditioner company maintains to be service orientated by keeping their promise. Through our expertise our customers experience real service. For the best quality products on the market and great service please feel free to contact us. Finding the right product and installer can be challenging and risky. Let one of our professional consultants come out to see you and to assist and guide you for your air conditioning requirements. We are a family based company, so it's critical to us that we do our best for our customers. Our field staff are all trained and experienced. We keep our teams motivated and consider them part of our family.